Why not make the cucumber watermelon margaritas the toast of your 4th of July festivities? See the recipe below and get more party inspiration here. 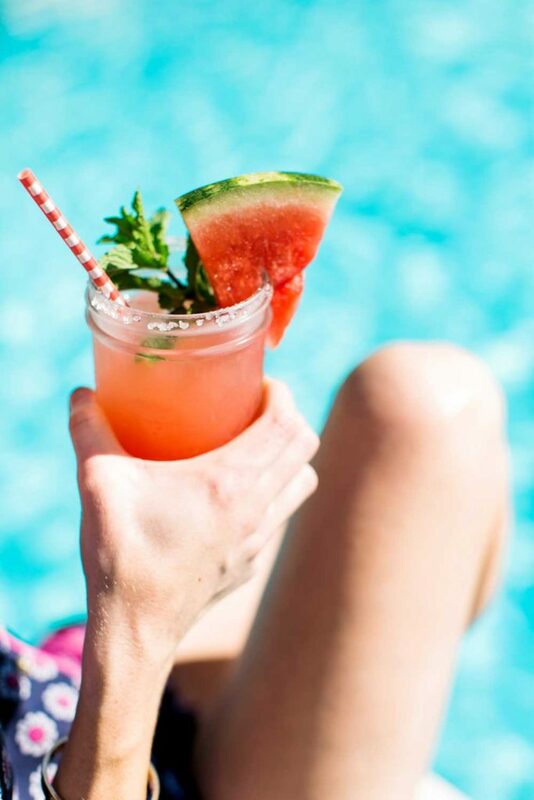 Cucumber watermelon margaritas made quite the splash at the 4th of July pool party hosted by Draper James ambassador Katie Jacobs. Find the recipe here. Liquefy the watermelon and cucumber in a blender and strain through a fine mesh sieve into a pitcher. Refrigerate until ready to use. Mix the lime zest and salt on a small plate and reserve. When ready to serve: Mix 1/2 cup watermelon-cucumber juice with lime juice, agave, and tequila in a cocktail shaker filled with ice; shake well to chill. Rub the rim of a mason jar with a lime wedge and dip it into the lime zest mixture. 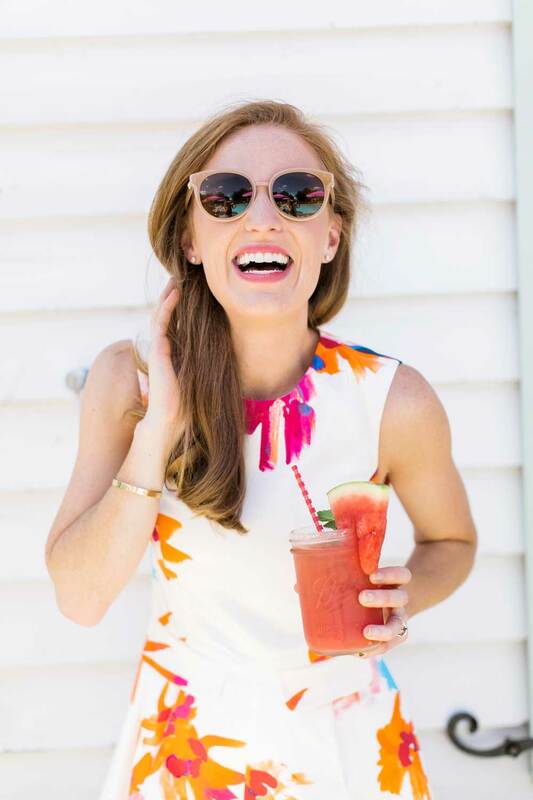 Pour the margarita into the salt-rimmed mason jar and garnish with a watermelon wedge and mint sprig. 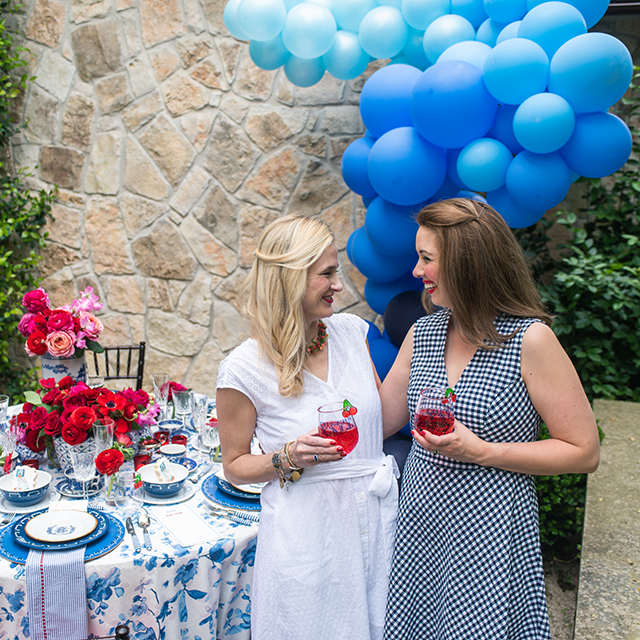 Katie Jacobs, Draper James ambassador and party planner extraordinaire, pairs her drinks with her dress at her 4th of July party. 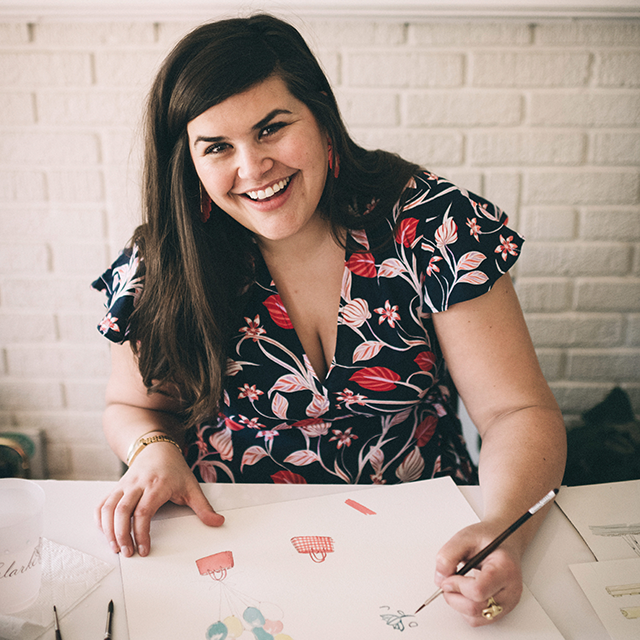 Katie is wearing our Citrus Lily Love Circle Dress.